This 9pc set is part of the Britool Hallmark range. 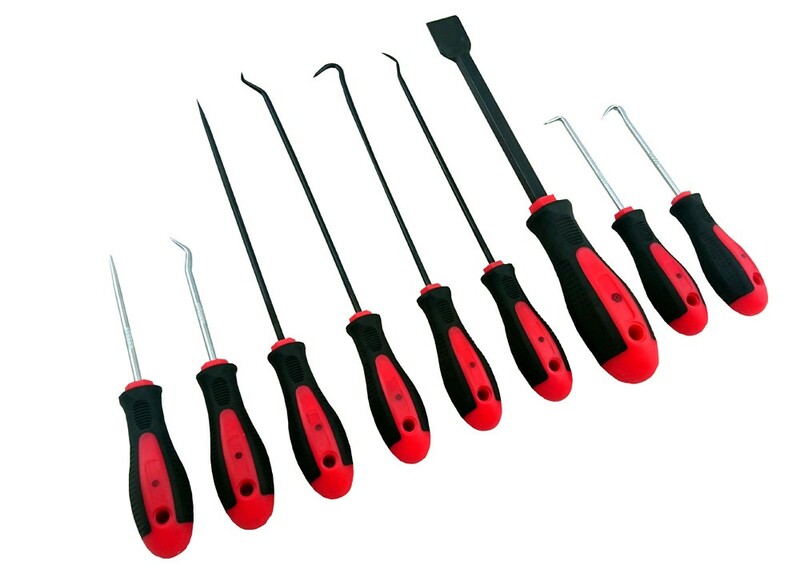 Multi-purpose hook & pick set is suitable for pin/clip picking and the removal of O-rings and seals. Scraper ideal for gasket scraping. 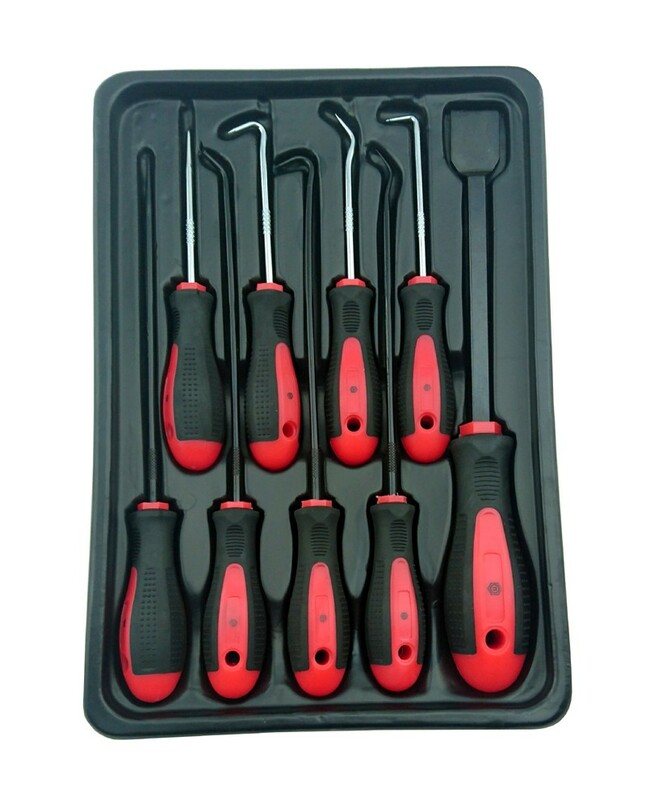 Set contains four short picks with knurled, satin finish steel shafts and four long picks and one scraper with black finished steel shafts. Ergonomically styled handles for comfort, grip and accuracy. Britool created the Hallmark range in the 80's for the automotive aftermarket. Their goal was to provide a range of tools that would satisfy the needs of professional motor mechanics and technicians. The range has continued to grow over the years and has become well respected amongst professional users. The Britool Hallmark guarantee covers against defective materials and/or workmanship when used for the purpose for which they were designed. In the unlikely event that a product fails during normal use, it will be replaced. The guarantee does not extend to fair wear & tear.